Staying on budget is crucial for many Lakeland-area car buyers. That’s where our car finance payment calculator at Stingray Chevrolet comes in handy. 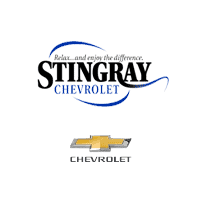 Whether you want a brand new Chevrolet Malibu or a used vehicle, you can calculate your monthly auto loan payments easily at Stingray Chevrolet. Vehicle Price: If there’s a Chevrolet that you’re interested in or a set vehicle price in your budget, enter that value there. Interest Rate: This varies depending on your credit history. Apply for financing online and see what rates you qualify for after being pre-approved. Loan Term: This is how many months you will be paying your loan back. Trade-In Value: If you’re going to trade in your vehicle, use our value your trade tool to see what your car is worth. Enter that amount, which also gets removed from the new vehicle’s total. Once everything is filled out, hit “calculate” and see your estimated monthly payment. Keep customizing the categories until you find a monthly payment that fits within your budget. Have questions? Contact our finance department today!